Maple Grove freshman Zoe Adkins doesn’t have a seed number next to her name in the Class 2A state singles bracket. But they’re just numbers. 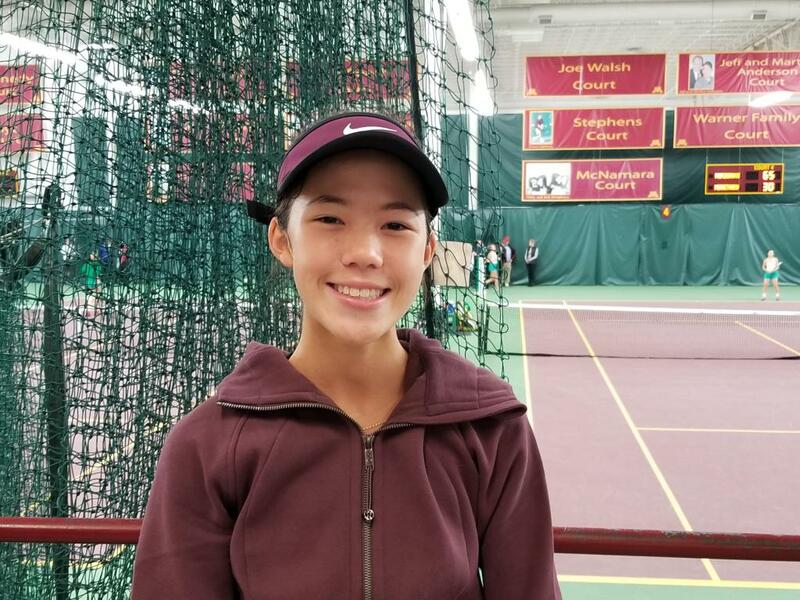 She proved that when she knocked out two seeded players in her two matches of the girls’ state tennis tournament Thursday at Baseline Tennis Center at the University of Minnesota. Adkins is in her third consecutive state tournament. She defeated No. 5-seeded Kelsey Dorr, a senior from Princeton, 6-4, 6-2 in the first match before defeating No. 4 seed Annika Elvestrom, a fellow freshman and top singles player from Minnetonka, 6-3, 6-0. Adkins earned her state tournament first victories after going 0-2 each of the past two years. Both Adkins and Maple Grove coach Dan Haertl mentioned how focused she’s been in this tournament, plus Haertl said she wasn’t letting herself get discouraged if she missed a couple shots. She has a good tennis sense, using her quick feet to get to balls effectively, Haertl said. In the quarterfinal, Adkins was up to the challenge of sending everything back across the net, including all the slice shots that are part of Elvestrom’s game. After four consecutive service breaks to start the match, Adkins broke for a 5-3 lead with a passing-shot winner before serving out the set. She’s also worked this season on her offense and staying at the baseline to keep opponents guessing, she said, which is a change from the past when she focused more on defense. Adkins will face defending singles champion and top-seeded sophomore Nicole Copeland of Edina in the semifinals on Friday. Copeland’s teammate, senior Andrea Jansson, also moved on to the other semifinal as the No. 3 seed. Jansson defeated Robbinsdale Armstrong junior Nicole Snezhko 7-5, 7-5 in the quarterfinals. Maddie and Bella Suk, sisters playing doubles for different teams in different tournaments, both advanced with their partners in the doubles competition on Thursday. Bella Suk, a Blake freshman, teamed with Sonia Baig to defeat two doubles teams to reach the Class 1A semifinals. In Class 2A, senior Maddie Suk of Hopkins and partner Rachel Kelly won two matches to reach the semifinals as well. The Suk sisters were the subject of a story that appeared in the Tuesday edition of the Star Tribune.